My wife and I drove out to the Las Vegas metro to revisit Desert Sapphire, the custom external water cooled build that I built for a friend of my wife’s. The system was due for maintenance, and as the owner doesn’t know how to maintain the loop, I declared a vacation at work to drive out. 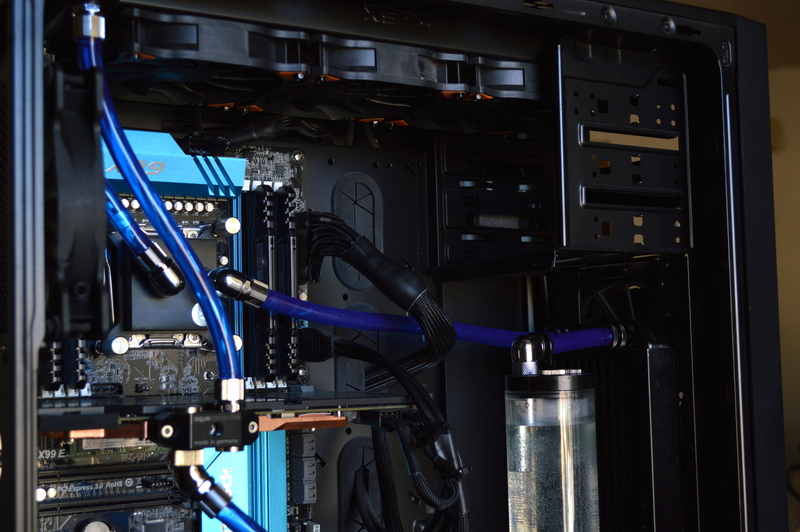 I expected to be driving out to flush the loop, change out the soft tubing, and fill it with fresh coolant. That’s not exactly what ended up happening. I expected to be replacing the soft tubing. I didn’t expect to find this. 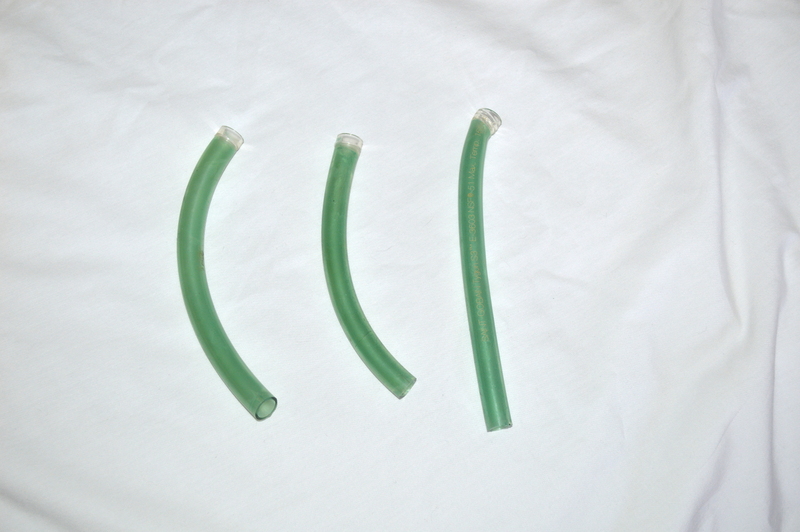 How exactly does Tygon tubing turn green when you’re using a coolant with an anti-corrosive and anti-microbial? And it’s hard to tell if this is green from chlorophyll or copper. Looking at pictures of copper patinas, I’m leaning toward the latter. Either way, it means the coolant should’ve been changed a lot sooner than this. The tubing was also strangely softer than before. I stopped using Tygon not long after Desert Sapphire was done simply because it seemed to lose its “softness” too quickly. I’ve instead swapped to exclusively using PrimoChill’s soft tubing. So that was used this round. PrimoChill Primoflex Advanced LRT. UV Blue. I intended to use clear tubing, but couldn’t get ahold of it in time. I naively thought Micro Center would have it in stock, and an earlier order to Performance PCs didn’t include it either since I, again, naively thought I’d be able to get it at Micro Center. And I didn’t think the Performance PCs order would ship and arrive before departing for Las Vegas. But the coolant is staying the same. Everything else is staying the same on the system. This revisit was about maintenance, not upgrades. So tearing the system down was relatively straightforward. As was draining it. I’ve had a lot of practice courtesy of having my own external water cooling setup. I decided to not do the external setup this time, instead moving everything internal. Given the temperatures, I didn’t think it to be much of a risk. The power supply, however, meant there wouldn’t be room for a lower radiator like in Absinthe. Instead there was room only for a front and top. And rather than use a double-120mm radiator on the top, I paid a visit to OutletPC to acquire a triple-120mm radiator. Specifically the XS-PC EX360. The same radiator I used in my radiator box. Along with a few more fittings. This setup takes him from 6x120mm to 5x120mm, which is still overkill for an i7-5820k and a GTX 980. Heck just the triple-120mm would likely be overkill. I used 30lb Gorilla tape to stick the pump to the bottom of the chassis. 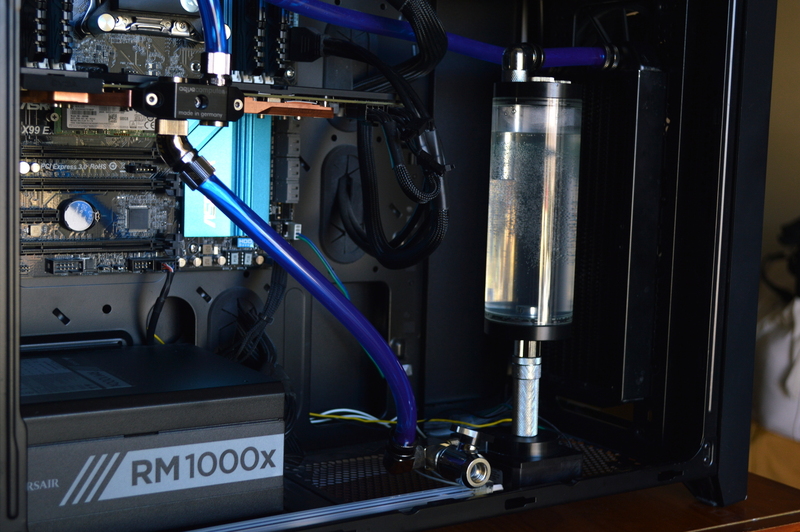 The rest was just a straightforward water cooling loop. Which given what I’ve done with Absinthe and Mira, and what I originally built as Desert Sapphire, that’s certainly unusual. Now the chassis also doesn’t look so barren. At least there’s something filling in the space between the mainboard and front panel, even if it’s just the reservoir and pump.